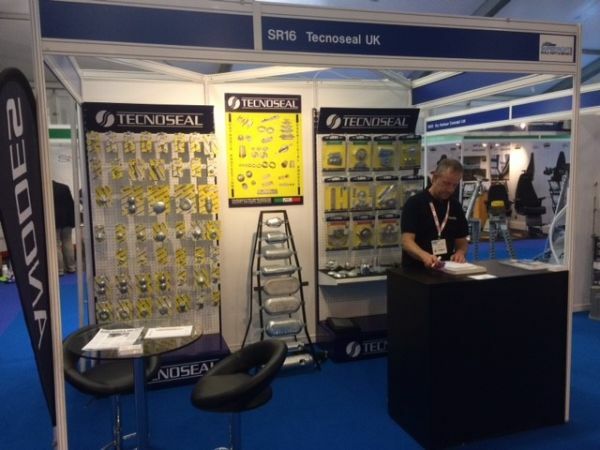 The 21st edition of the Seawork International, an event dedicated to the marine commercial sector to which Tecnoseal directly participated through its official distributors of All Boat Care, ended almost a week ago, on June 5th. Despite a hot climate, both in a metaphorical sense, with many political and economic uncertainties, and in a practical one, with the temperatures that have skyrocketed, especially for the standards of the British coasts, the Seawork International of this year was a success and managed to bring together companies, business opportunities and new ideas. Opening the event on Tuesday 3 July, was the United Kingdom Maritime Minister, Nusrat Ghani, who stressed the importance of the maritime sector, of the training of those who work there, of the women in the sector and of the Maritime 2050, the long-term strategy for the future of the British maritime industries. In England the maritime sector supports almost 1 million jobs, contributes tens of billions to the nation's GDP and pushes exports and domestic investments. Thousands of billions of pounds of goods pass through the ports of the United Kingdom each year and on the occasion of the Seawork the DIT (the UK Department for the International Trade) hosted a Chinese delegation eager to discover opportunities for new business. Among the biggest deals concluded at the event, above all shines Kort Propulsion which has both closed a contract for a supply of a complete set of propulsion equipment to Shipbuilding Asia UK and two "more small" contracts with two of Romania's main shipyards. Good business also for Goodchild Marine Services which received a Briggs Marine order for two ORC pilot ships in addition to the three already in service at Liverpool port. Southampton Marine Services also announced a partnership with Work Boat Sales for sale at the international level of its BULLDOG work boats. As for the boats, there are two reported big sales. Still Goodchild has delivered his last ship for the crew transport to CRC (Commercial RIB Charters) while the Damen Shipyard Group has delivered to HST (High Speed ​​Transfers) its first boat, the FCS 2710 for the offshore energy sector. There are also many technologies that have used Seawork International to make their official debut. Volvo Penta unveiled its concept for marine hybrid propulsion and offered sea trials of the IMO Tier III solution while Cummins launched its new engine on the European market. The X15 is designed to withstand continued heavy duty for long periods. Also noteworthy are the two new products of Hamilton Jets, the HTX30 Waterjet and the AVX system (Advanced Vessel Control), which have been able to count on the authoritative presence of the New Zealand Commissioner for UK, Sir Jerry Mateparae. Lastly, the GreenOil Standard APS has announced its new series of offline ecological oil filtration systems that promise to extend systems life by 5-10 times and also to treat EAL bio-oils. Success also for the first edition of Speed​​@Seawork which saw the participation of the Hong Kong marine fire service and the British Ministry of Defense, to which were added several European police and security organizations delegates as well as naval architects, major defense contractors and leading academics in the sector. 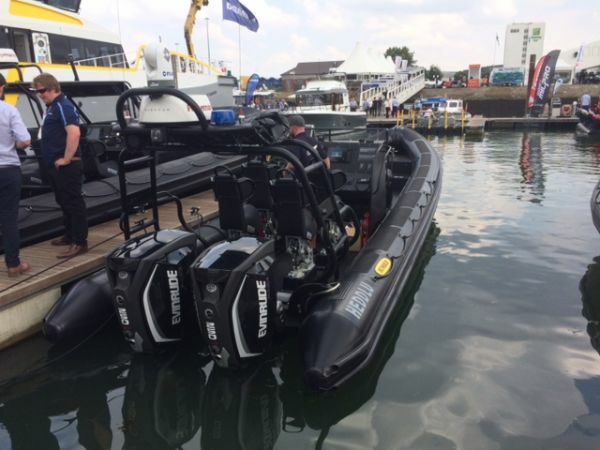 During the two days Norsafe showed its new fast rescue boat, Munin S1200, but also boats of BAE Systems, Tideman Boats, Parker Ribs and Zodiac Milpro exhibited. Delegates attended the tests on board the Solent where also many other cutting-edge equipment were on show such as military jet skis and last generation drones. On the first evening of the Seawork International the ECMA (European Commercial Marine Awards) were delivered. The Lifetime Achievement award went to Stavros Lalizas, founder of the company of the same name specializes in lifejackets, which celebrated 36 years of activity in which it has grown from a small local company to an organization covering up to 129 countries worldwide. The Maritime Best Project award went to Red7 for its work supporting the Thames Tideway Tunnel project. The Torqeedo ECOCAT zero emission solar energy passenger ferry won the Maritime Sustainability Award. Lastly Landau UK won the award Spirit of Innovation thanks to Lifecord, the "intelligent" security cable that incorporates inside a detection technology that goes to verify that this is connected to both the boat and the pilot. As for Tecnoseal there have been three days of intense activity on our stand and the temperature has certainly not helped us. Despite this you have been many to visit us and we are happy with the help we have provided and that we will provide you through our knowledge and our products. You can find a lot of the photo/video material we have collected both in this article and on our official social channels. 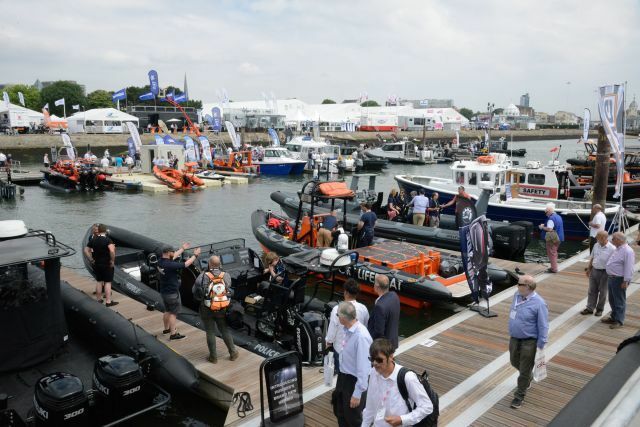 We therefore give you an appointment at the next edition of Seawork International, whose confirmed dates are those of 10-13 June 2019!